With over 180 speakers from 30 countries, this year’s UWRF lineup is a literary treasure trove of discoveries. Each week in the lead up to the Festival, we’ll speak to a writer whose work you may not have encountered yet, but who could well turn out to be your Festival favorite. This week we hear from writer and translator Tiffany Tsao. Gosh, so many! I’ll just mention one: I’d love to talk about cross-cultural and cross-linguistic pollination: how belonging in multiple places or belonging nowhere (depending on how one looks at it) can affect one’s writing and the ideas and influences contained therein. I write across genres (fantasy and literary fiction), translate from Indonesian to English, and live across several cultures (technically, I’m Chindo, but spent a lot of my childhood in Singapore, and I grew up attending international schools and have spent my adult years in the US and Australia). In short, crossing boundaries is a major influence on and concern in my work. Anyone who is genuinely open to learning about new writing and to having their own ideas challenged! I love literary festivals and get very excited by them, but I also think they have the potential to become places that foster smugness and snobbery. To be honest, I feel as if my career as a writer and translator itself is an extraordinary place. Before I switched to full-time writing and translating, I was a not-very-successful academic. I taught at various universities on fixed-term contracts and wrote research articles on literature. It was mentally stimulating and I loved my students, but I found my working conditions demoralizing. When I quit academia, I felt as if I’d quit smoking – as if my lungs had cleared up and I could breathe again. Though having said that, full-time writing and translating is quite financially unstable. The best piece of advice on writing in general that I’ve ever received was from the professor that taught my first-year writing class at Wellesley, when I was an undergraduate. (His name is Randall Colaizzi.) He was teaching us essay writing, not creative writing, but he stressed the importance of writing rough drafts, which I still do today. I’m a heavy reviser and always write at least three or four drafts of any work. The best advice I can give is related to this: Nothing you write is wasted effort. Nothing. Even if it’s awful. Every time you write, you’re getting better at it, so take heart! I think of it as akin to playing a musical instrument or ice skating (not that I’m good at either of these things) – even if you play the wrong chord or lose your balance, your body learns from your missteps and makes adjustments accordingly. It seems to me that musicians and athletes give themselves more leeway to tinker and rehearse because there is a strong sense that doing so does eventually contribute to improvement. I’m not sure writers give themselves this same license; when we write something we consider cringe-worthy or mediocre, we feel ashamed instead of seeing it as contributing to a larger, cumulative process of skill-gaining. I suppose this is a slightly less clichéd way of saying, “Practice makes perfect,” though I don’t believe “perfect” writing exists. Not everything you write has to be brilliant. The mere act of writing is beneficial to your writing. It depends on the reader. If you’re in the mood for something more light-hearted, funny, and fantastical, then start with my first novel, The Oddfits. 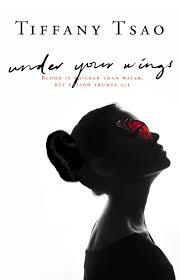 If you’re in the mood for something darker and more brooding, then my latest novel, Under Your Wings, is the place to begin. Exposure to new ideas and writers that I wouldn’t usually encounter in my daily life. 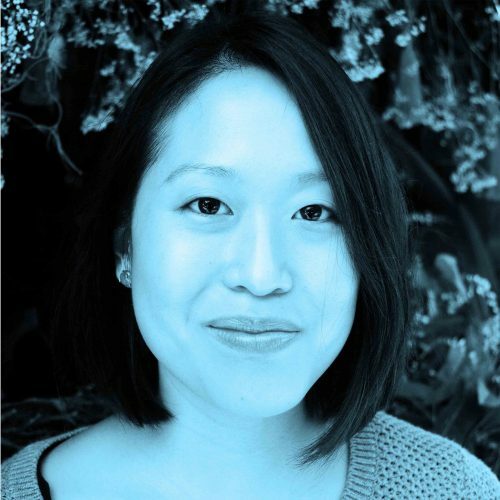 Tiffany Tsao is part of the Main Program panels Cosmopolitan Creativity on Day 2, and Serial Storytellers on Day 4. To buy your Main Program 4-Day Pass click here.